History has left us with many wonders, sometimes buried in elaborate vaults or ornate tombs. Other times, artefacts of times past are found in somewhat sophisticated surroundings. 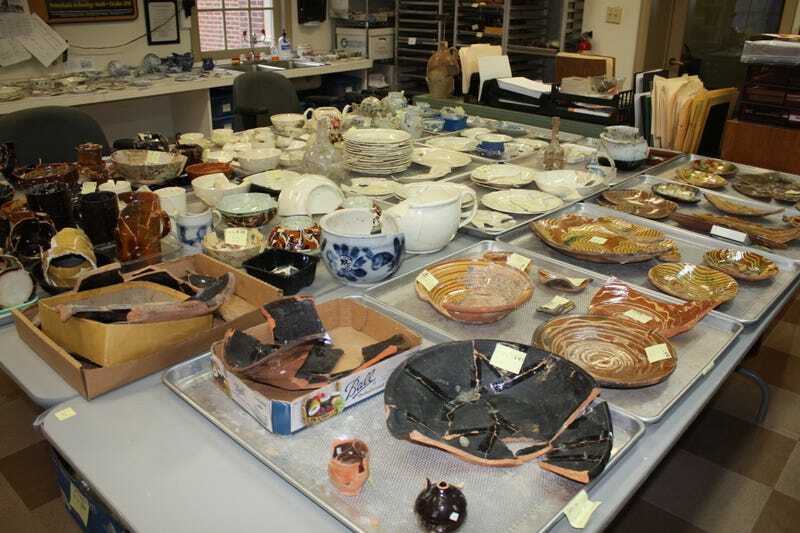 Take for instance, the Museum of the American Revolution’s latest 82,000-piece haul, which was found in 300-year-old toilets in Philadelphia. 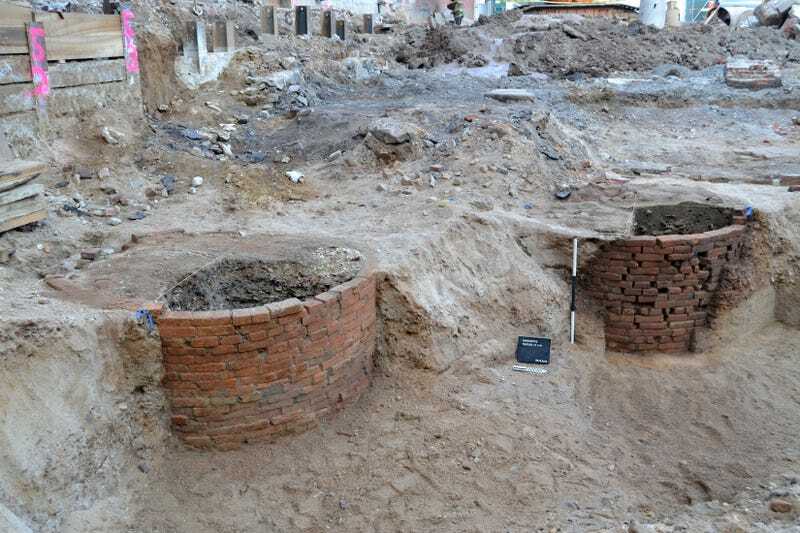 According to LiveScience, the museum discovered these archaeological finds before constructing a new building near Independence Hall in the heart of Philadelphia. Although the museum expected to discover some artefacts buried on these historical premises, the sheer number was overwhelming. 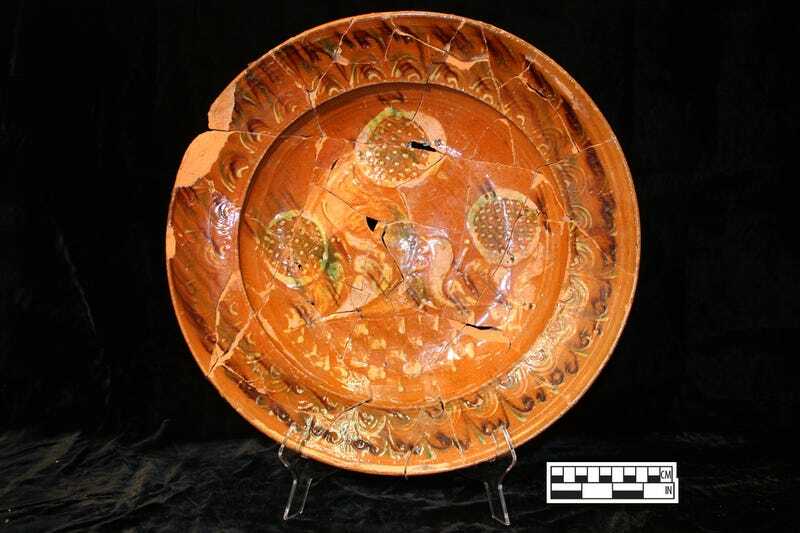 Supposedly, human waste actually does a pretty great job of preserving artefacts. Who knew? Artefacts spanning 300 years of American History were found in these ageing shitters. Because Philadelphia had no municipal waste removal service in early American history, public toilets also pulled double duty as rubbish dumps. 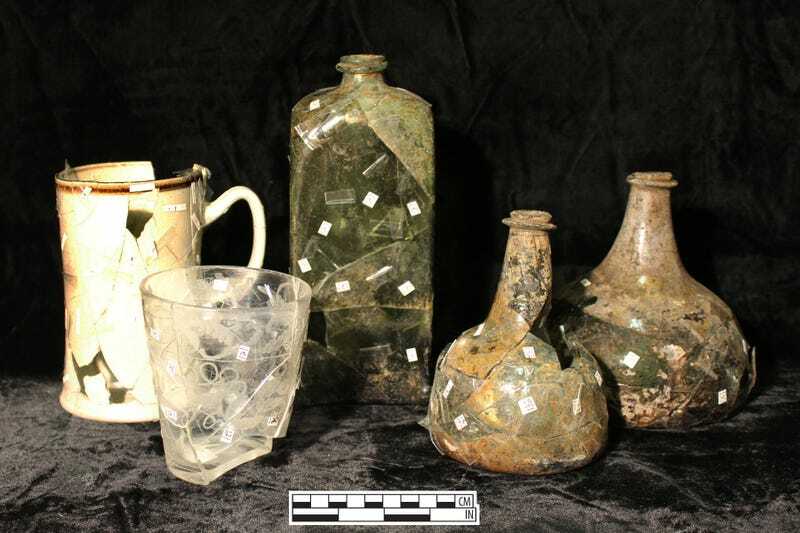 Included in this messy assortment of historical findings are pieces of cups from an illegal tavern that was up and running during the Revolutionary War, a punch bowl that references a merchant ship called the Triphena (top image), and shells used by a button factory during World Wars I and II. Also discovered were dozens of bowls, tankards, and gemstones inscribed with the British Coat of Arms.